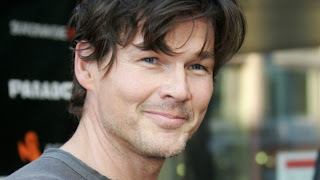 The Voice of Multi-million selling Norwegian trio A-Ha, Morten Harket has announced three UK Solo dates for May 2012. These solo dates follow a-ha’s final UK tour late last year and a fantastic international career spanning 25 years, in excess of 36 million album sales and 15 top 10 singles in the UK alone. In the mid 80’s a-ha created teenage hysteria and general pandemonium wherever they went. In recent years the focus has shifted to the musical legacy they will leave behind. Morten is currently working on his next solo album, which is scheduled for release in March 2012 through Universal. His last solo album, Letter From Egypt, was released in spring 2008. Morten will be touring all around Europe in April and May next year performing his solo material as well as some selections from the a-ha catalogue. Morten will be joined by Karl Oluf Wennerberg - drums and Erik Ljunggren - keyboards/bass who played with a-ha on their farewell tour and Dan Sundhordvik – guitar.